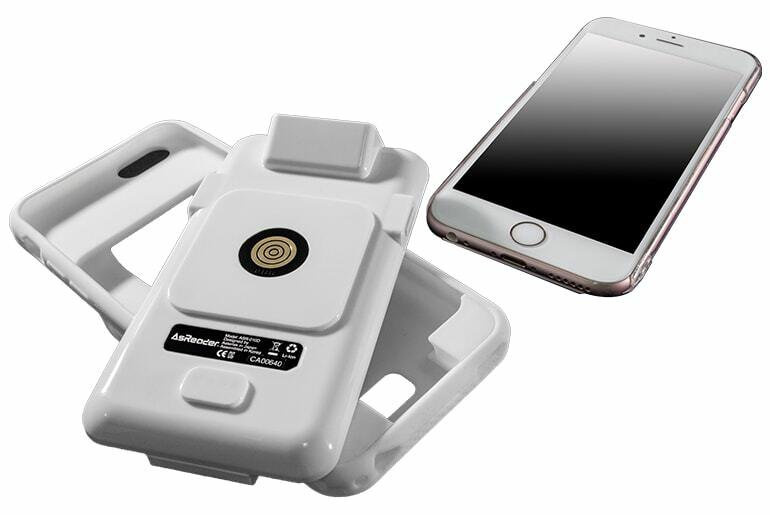 iPhone compatible (iPhone 7, iPhone 7Plus, iPhone 6s, iPhone 6s Plus, iPhone 6, iPhone 6 Plus, iPhone SE, iPhone 5s, iPhone 5) iPod touch compatible (iPod touch 5th Generation, iPod touch 6th Generation) iPad compatible barcode scanner (iPad mini, iPad mini2, iPad mini3, iPad Air2, and iPad Pro9.7.) All Major 1D barcodes are supported. Blue LED: Connected with device (*6).